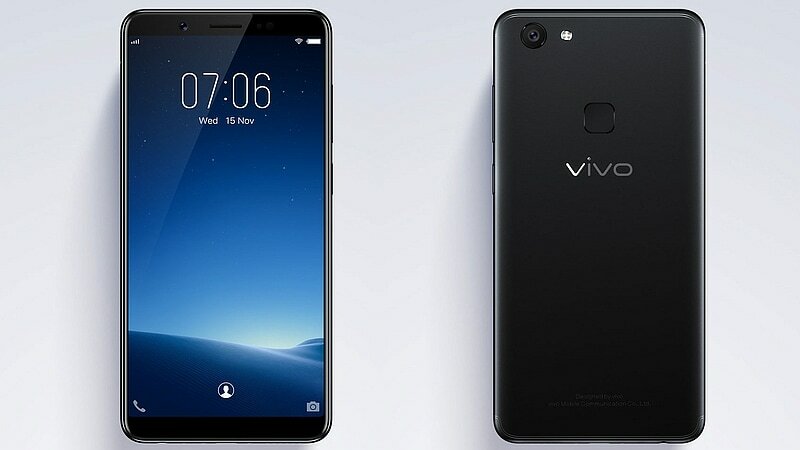 Vivo V7 has been launched in Indonesia, shortly after the Chinese smartphone manufacturer announced the India launch of the smartphone on Monday, November 20. As expected, the Vivo V7 is a selfie-focused smartphone with an 18:9 FullView display, just like the Vivo V7+ that was launched in India back in September. Vivo has revealed the price and specifications of the V7 in Indonesia, where it is already available to buy. The Vivo V7 price in Indonesia is IDR 3,799,000 which translates to roughly Rs. 18,300. We can expect the smartphone to be priced at approximately the same price in India, considering the better-specced Vivo V7+ is priced at Rs. 21,990 in the country. The Vivo V7 is already available to buy via a host of online retailers in Indonesia, including JD.com and Lazada. It has been launched in Gold and Matte Black colour variants. The dual-SIM (Nano) Vivo V7 runs Funtouch OS 3.2, based on Android 7.1 Nougat. The smartphone sports a 5.7-inch HD+ (720×1440 pixels) IPS display with an 18:9 aspect ratio. It is powered by an octa-core Snapdragon SoC (model unspecified) clocked up to 1.8GHz, coupled with 4GB of RAM. It’s likely Vivo has decided to use the same Snapdragon 450 SoC on the V7 as it used on the V7+. We can expect a confirmation on Monday, at the India launch event. The Vivo V7 sports a 16-megapixel rear camera with flash and an f/2.0 aperture, apart from a 24-megapixel front camera with a soft ‘Moonlight Glow’ selfie light and an f/2.0 aperture. The smartphone bears 32GB of inbuilt storage that’s expandable via microSD card (up to 256GB) with a dedicated slot. Connectivity options on the Vivo V7 include 4G VoLTE, Wi-Fi, Bluetooth v4.2, GPS/ A-GPS, Micro-USB, and FM radio. Sensors on board include accelerometer, ambient light sensor, digital compass, proximity sensor, and virtual gyroscope. It sports a 3000mAh, measures 149.3×72.8×7.9mm, and weighs 139 grams.